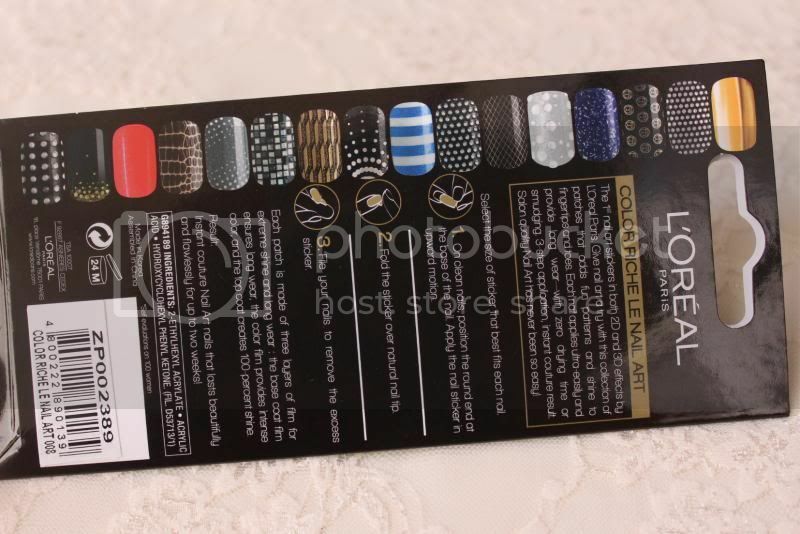 If you like pretty nails but don't have enough time or patience to paint them then nail art stickers are for you! 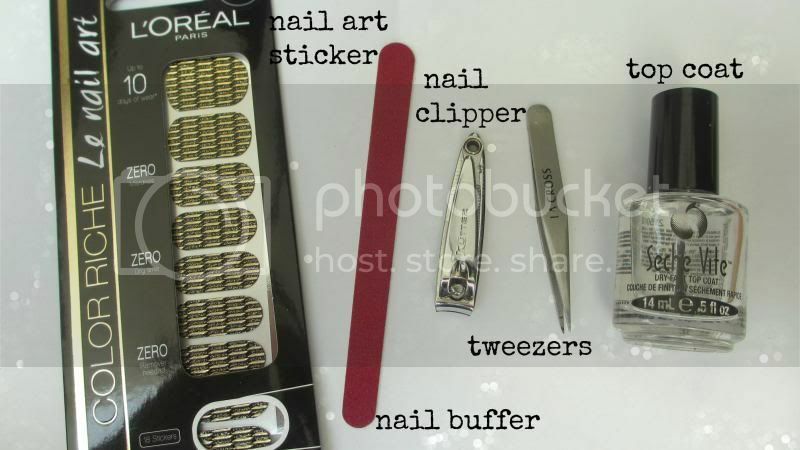 I got a nail art sticker from the Belle de Jour Beauty Box last March. Since I always paint and draw on my nails, nail art sticker was new to me. Suddenly, a follower on Instagram requested for a nail art sticker tutorial so I thought it was the perfect time to put the stickers into use. 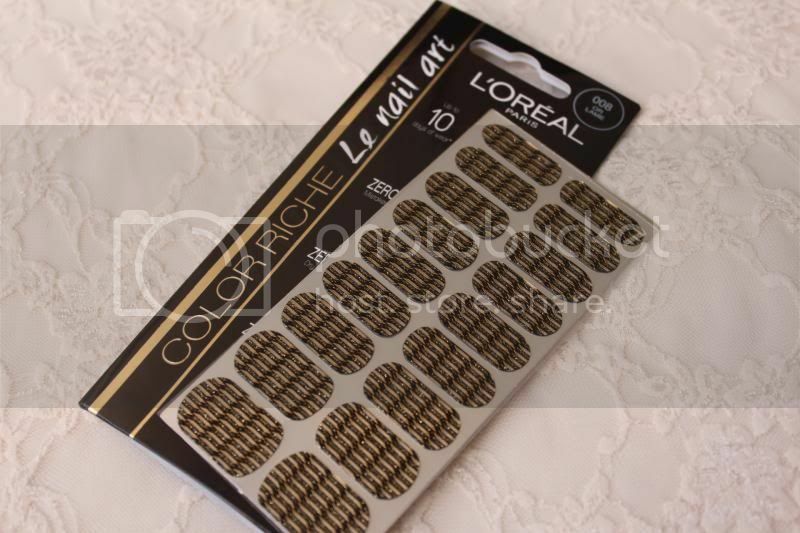 Introducing the L'oreal Nail Art sticker. One pack comes with 18 pieces of stickers. Which made me wonder, why only 18? Don't humans have 10 fingers and 10 toes?! lol. The set costs around P395. But if you think it's too pricey, then I suggest buying the cheaper ones available at nail art supplies stores and also at Divisoria! Also comes in different designs! Which made me sad that I got what I got. I would be much happier if I got the blue and white stripes or the black with gold details (second to the left) or the black with the silver dots on the left of the white and blue. Oh well! This lasts for about 3 days. On the package, it says it can last for about 2 weeks. But I doubt it. Even if you don't do the dishes or laundry, the stickers will eventually peel off on its own. The only good thing about using stickers is that it doesn't chip and it's really easy to apply! 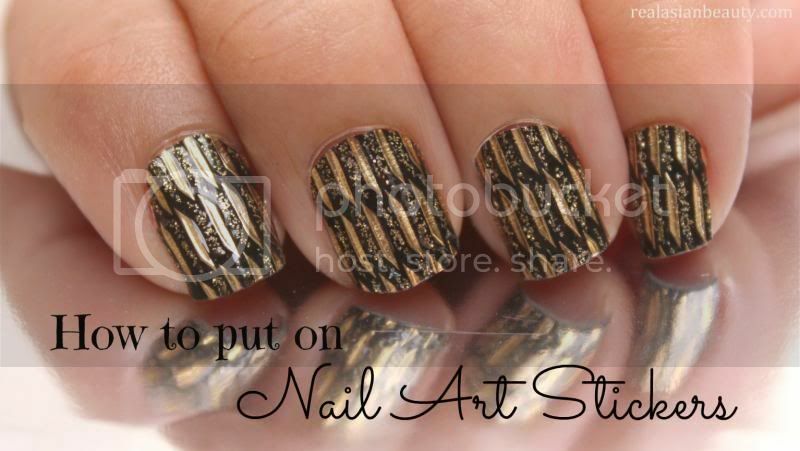 Nail art stickers, Yay or Nay?